Tightness in your chest, difficulty breathing, adverse reactions to environmental and biological triggers. Are you experiencing an asthma attack…or do you have a wicked case of allergies? Answer: it could be both. Allergies and asthma often occur together. Certain allergens – like dust mites, pet dander, and pollen – can act as triggers for both allergies and asthma. An allergy is an inflammatory reaction or response to a specific substance. Allergic reactions can involve nasal membranes, the eyes, the skin, the tongue, and the breathing passages in severe reactions. 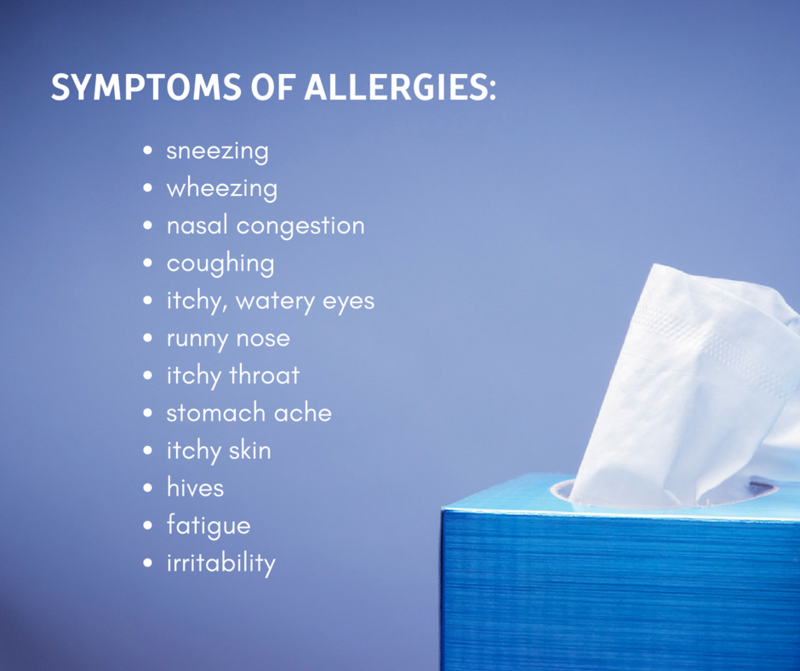 Allergy symptoms include an itchy, stuffy, or runny nose, sneezing, itchy, red, or irritated skin, and itchy, burning, or watery eyes. 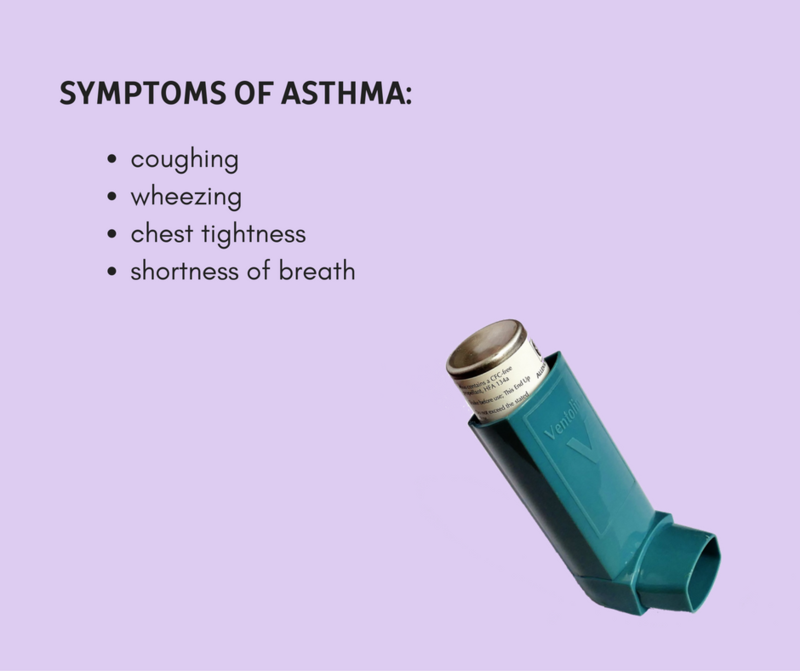 Asthma is a chronic inflammatory lung (lower respiratory) disease that causes difficulty breathing. Although most treatments for allergies and asthma are different, there are a few that can help with both conditions. Leukotriene modifier (Singulair) is a medicine that helps with both allergy and asthma symptoms by controlling immune system chemicals that are released during an allergic reaction. Allergy shots can help ease asthma symptoms by gradually reducing your immune system response to particular allergy triggers. 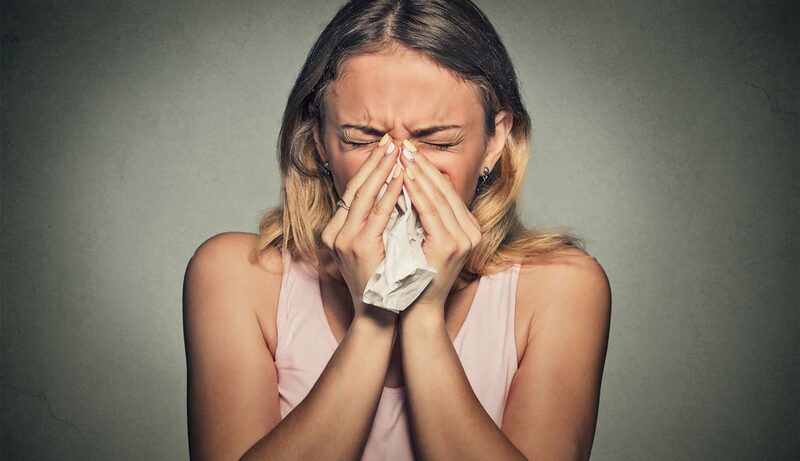 Anti-immunoglobulin E (IgE) therapy (Xolair) can help when you encounter an irritating allergen: IgE antibodies sense it and signal your immune system to release a chemical called histamine, as well as other chemicals, into your bloodstream. In short: go see your doctor. Whether it’s asthma, allergies, or a combination of the two, he or she can properly diagnose and help you manage your symptoms and get some relief through medication. In the meantime, there are steps you can take to improve the indoor air quality in your home and workspace. Reducing dust, allergens, smoke, contaminants, pet dander, chemical fumes, mold and mildew will go a long way toward lessening allergy and asthma symptoms. Use natural cleaning products (free of VOCs and synthetic fragrances) when possible, use a vacuum with a HEPA filter to regularly clean carpets, use exhaust vents when cooking, and invest in a high-quality air purifier that can remove these irritants from your air space.